Rare opportunity in The Montage, this is one of the few 3rd floor lofts with north facing, spectacular views of Downtown Reno! 15ft ceilings and towering windows pull in the glow of Reno's staple casinos into the living room and master bedroom. 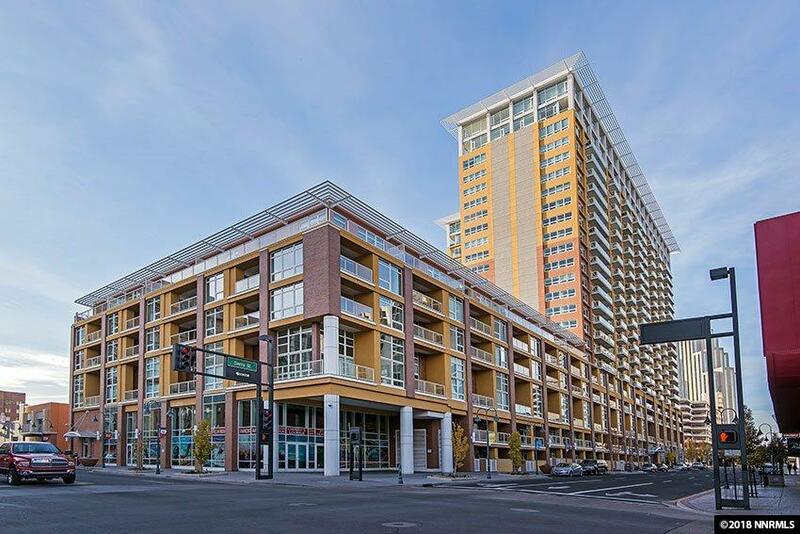 Soak in the urban vibe in one of Reno's best high-rise living communities that offers a large pool terrace with 2 hot tubs, 5 built-in BBQs, lap pool and clubhouse for entertaining. There is 24/7 front door security and 2 car spaces in the covered garage.